Interesting application stories and development projects undertaken by Metrix Electronics Ltd for our customers. Download the pdfs and click the hyperlinks for product-specific information. 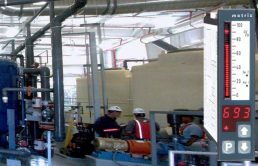 Don’t hesitate to get in touch for further information or to discuss your own project. 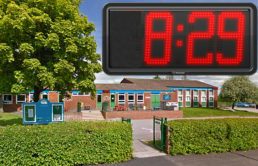 New large outdoor LED clocks provide accurate time information for parents and teachers. 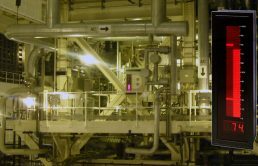 Power station maintenance efficiency has been improved using data from a Metrix CMC99 logger. 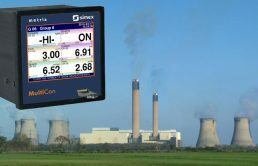 Metrix Dinalog bargraphs were selected for pH monitoring by chemical Engineers. 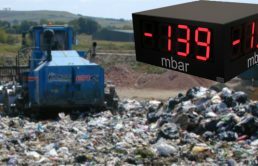 The Migan outdoor display from the Metrix microSYST range is in use at a UK waste site. 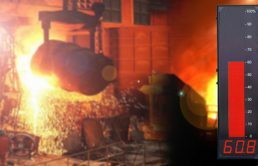 A 1.2m LED bargraph display unit from Metrix Electronics’ Migra/Migan Microsyst range is in use at a steel mill providing distance readable indication of the level of molten steel. 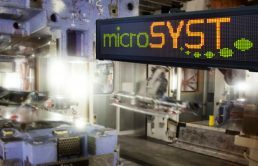 Four 1.5m multicolour LED displays improve steel press safety and efficiency. 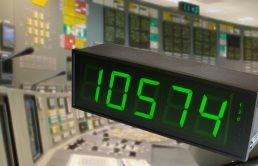 Metrix designed a large digit LED numeric display with RS485 communications for an instrumentation contractor working on a power station refit.